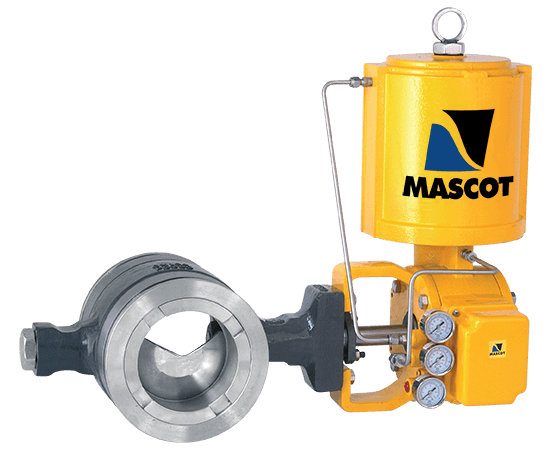 The VFlo – Segmented Ball Valve is designed to provide effective control for demanding applications. It is a rugged design segmented ball valve which overcomes the problems of harsh, particle entrained processes, and fibrous/unclean services. The VFlo also provides accurate, reliable control in a broad range of applications, such as Chemical, Power and Oil & Gas, Petro-Chemical & Pulp & Paper. Metal Seal: Using the pressure drop across the valve, flex-lock sealing energises the seal to bubble tight shutoff in either flow direction. ANSI class IV is achieved with a metal seal. 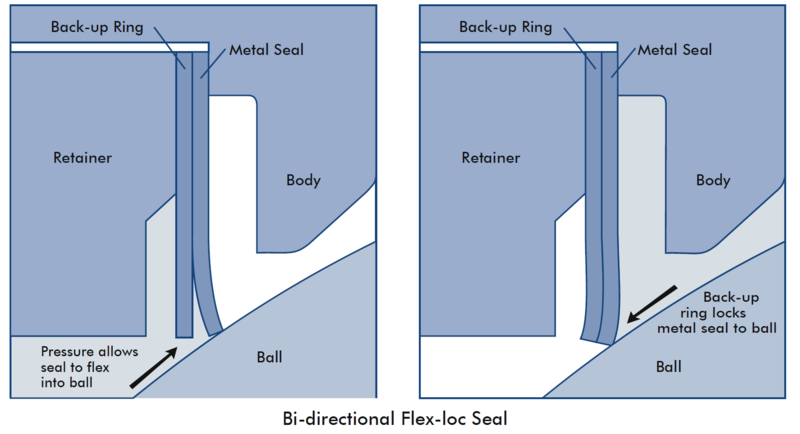 With an increased differential pressure, the sealing capacity is increased with flex-lock. With the pressure entering the cavity with the shaft downstream, the flexible seal deflects into the ball, and causes it to seal tighter against the ball. With pressure entering the cavity with the shaft upstream, the back-up ring locks the seal against the ball and causes it to seal tighter against the ball. Soft & Dual Seal: Using the pressure drop across the valve for soft sealing as well, the VFlo energises the seal to bubble tight shutoff in either flow direction. 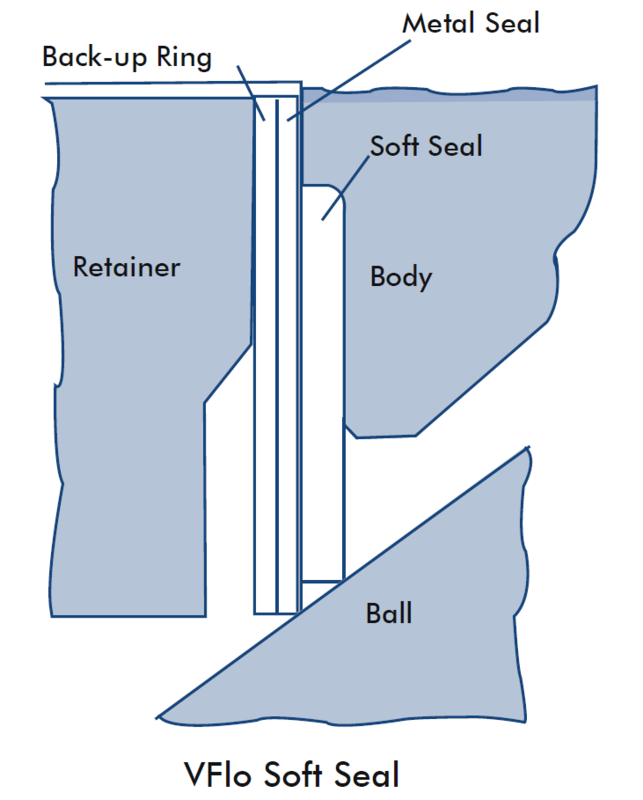 ANSI class VI is achieved with a soft seal and ANSI class IV with a dual seal. The Soft seal ring is standard for the VFlo and utilizes a 316 SS or Inconel Ring as a backup in conjunction with a Filled PTFE / PEEK seat. Such design provides for a quick and easy replacement in case of failure. The backup ring also provides shear action hence scraping any developments on the ball.